WASHINGTON — Today, April 2, is Equal Pay Day—marking the number of extra days into 2019 the average woman has to work to earn as much as men did in 2018. Last year, Equal Pay Day was calculated to occur on April 10—meaning that in 2019, women have improved the score by a mere eight days. African-American women earn 61 cents for every dollar earned by men, meaning that for them, Equal Pay Day won’t occur until August 22, 2019. For Native American women, the pay gap is 58 cents for every dollar, with equity not reached until September 23, 2019. Latinas earn 53 cents on the dollar, and won’t catch up to men until November 20, 2019. 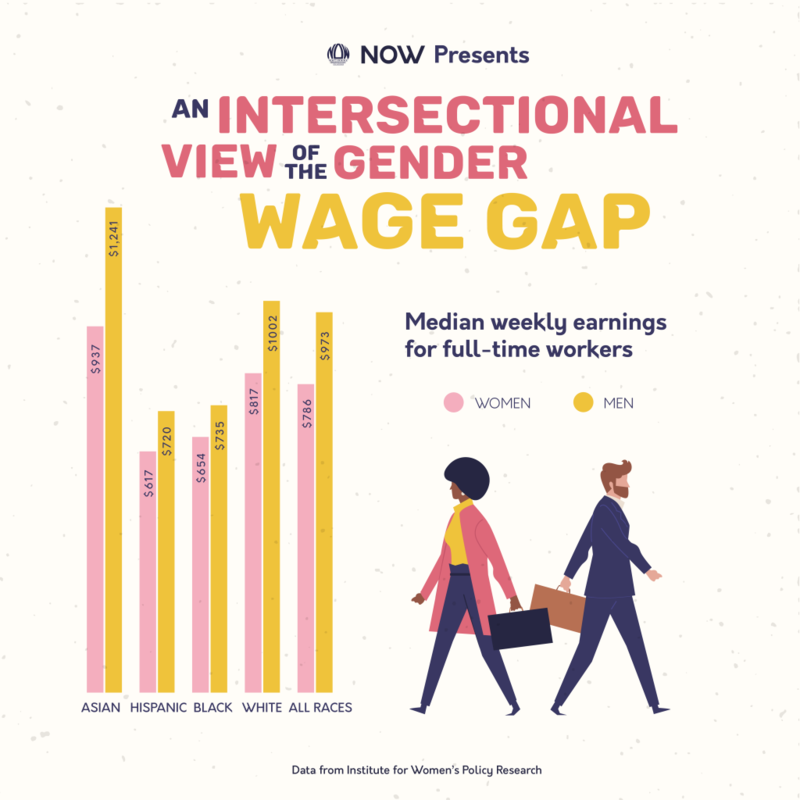 Due to higher educational attainment for Asian Americans, the wage gap is smaller for Asian American women at 85 cents, but they still earn significantly less than men. Although Congress enacted the Equal Pay Act in 1963, their work is far from finished. We need the federal Paycheck Fairness Act, to remedy its flaws and strengthen protections that ensure women are paid fairly through increased penalties and better reporting for wage discrimination, among other provisions. The bill recently passed the U.S. House of Representatives and we demand that the Senate schedule a vote on this crucially important legislation. The gender wage gap puts an even greater burden on hard-working women and their families who are already struggling to keep up with monthly bills, health care, child care and an economy that too often leaves them behind. It even has an impact on the pension and social security earnings that women receive in retirement. When the Equal Pay Act was passed, full-time working women were paid 59 cents on average for every dollar paid to men. Since then, the wage gap has narrowed by just 21 cents- a rate of less than half a penny a year. At the current pace, gender pay equity won’t be achieved until the year 2058. Let’s move Equal Pay Day back where it belongs—to December 31. The earnings year should end with the calendar year—and not a day longer. The feminist agenda is rising–and so must women’s pay.